Good par four with a blind tee shot. Drive just right of the fairway marker post. Fairway slopes from right to left. Second shot also comes from the right and is downhill. 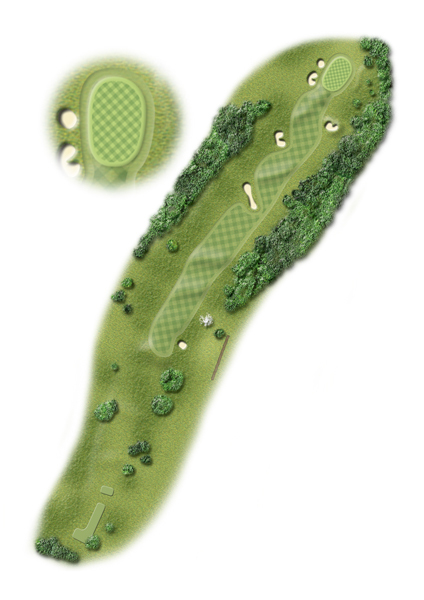 Slight step in the green and if the pin is at the back, it makes getting to the flag quite difficult.